MIST is an annual conference for school children which aims to engage and enthuse, and to help them decide if they want a career in science, IT, maths or technology (MIST). The areas of science, technology, engineering and mathematics (STEM) are critical to the well-being of our communities and nation. Consequently, building the expertise of future leaders in these fields and the literacies of all children is vital to the sustainability of industry and community and therefore also to the sustainability of the University too. The conference has developed as an initiative of the School of Education, Bundaberg, heavily supported by Arts, Business and IT, ITD and the campus personnel generally. It involves significant collaboration and teamwork to put together both internally across University work units as well as externally with schools. The conference consists of workshops taught by specialists in various fields. The workshops build on the classroom learning of 9-14 years in the areas of mathematics, science and technology with the ultimate aim of increasing the number of students choosing to study in these areas and improving science, mathematics and technology literacies. 40% of the participating schools are classed as rural. From 2007 to 2009, it was Girls in the MIST but in 2010 it was extended to Boys in the MIST and Girls in the MIST. The MIST conference responds to the gender issues related to these areas of study and careers. In initially focusing on girls, MIST attempted to improve girl's attitudes towards studying Maths, ICTs, Science and Technology. The MIST conference enables children to grow to participate actively in the decision-making of their local and national community as knowledgeable adults, drawing upon an interest in mathematics, ICT, Science and Technology (design). 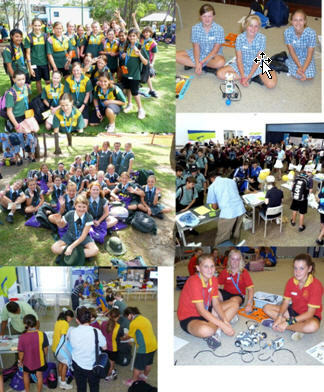 The growth of the event from 200 children in 2007 to 1060 children in 2010 is evidence of the positive impact and the value the conference has to schools in the Bundaberg region. This event enables school children to become familiar with the university environment and for the general community to feel comfortable with their university and view it as an acceptable location of study. The event builds positive community-university relationships creating future recruitment opportunities and improving and promoting the University's credibility and reputation as a valuable community asset. Dr Karena Burke has developed a suite of information and professional development sessions run with different community groups aimed at raising awareness of the effects of food on health and behaviour. The program targets different sections of the community including childcare centre staff, parents, teachers and members of community groups (e.g. rotary). Each session is specifically tailored to the needs and interests of each group. Surveys in Australia indicate that around 25% of the population perceive that they have some form of intolerance to food or a food additive, and studies have linked some food chemical intolerances to the severity of symptoms in psychological illnesses such as autism and ADHD. Emerging UK research provides evidence that the increased processing of food and reliance on artificial food additives could be having detrimental effects on the health and behaviour of children as well as contributing to growing obesity problems. The 'Do you know what's in your food'? workshops provide information on how to address some of these community health issues and how to cater to people with food sensitivities. The sessions have become increasingly popular and Dr Burke is now developing a series with Professional Support Central Queensland (PSCQ) who are responsible for professional development in the child care sector. A radio series with Barrie Eggleston is also being developed which will see the information made available to a much wider audience. The Community Broadcasting Association Australia is keen to offer this radio series to its other 350 stations providing the 'What's in your food'? 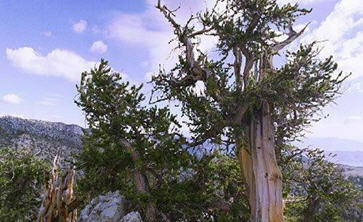 series with the potential reach a national audience. 'Do you know what's in your food'? has received over 15 positive media hits across magazines, newspapers and radio. Dr Burke has built and strengthened University - Community relationships throughout the Central Queensland region. She has educated the community on important healthy eating messages and helped to improving the Universities visibility and reputation. Dr Burkes 'What's in your food'? program is a great example for other staff members on how to promote our engagement activities in a way that makes our engagement aspirations more tangible to the community. TreeMappa and NeoGeography community engagement projects have focussed on involving students and community groups in using creative practice and new technologies to explore concepts of place and the environment. These projects have been conducted through partnerships with the Sunshine Coast Regional Council, schools and arts and cultural organisations. Tree-Mappa 2.0 has involved CQUniversity first year education students and nominated schools collaborating with artists, museums and the local community to create stories and digital content about significant trees in the area. The opportunity to work with leading international arts and multi-media company, C & F (from the UK) enabled the project to connect with an international audience and build capacity within the creative arts and education sectors on the Sunshine Coast. NeoGeoGraphy is a project which brings together creative practice and new technologies to capture the community's connection with where they live. Through the involvement of CQUniversity and the activities initiated by Dr Davis, students, teachers and community members have been able to develop skills in creating location based digital content and share this with various audiences. CQUniversity has had a presence at related events and on a number of publications. This has substantially increased the visibility of the University within the region, with CQUniversity now being added to strategy documents and planning frameworks being developed by the regional council. Positive relationships have been established with the Sunshine Coast Council (especially in the Creative Communities unit), the Cooroy Library, Gubbi Gubbi Dancer Troupe, Queensland Writers Centre, FeralArts, C & T drama and new media company and lf: Books and many other individuals and groups providing opportunities for future collaboration. These two projects are quality examples of engaged community service that helps build interactive and collaborative partnerships, draws on and contributes to community expertise and builds long term relationships focussed on building new knowledge. The projects support quality learning and teaching through building staff capacity in terms of digital content creation, Indigenous knowledge and inclusive teaching practices. Science@CQU encompasses a series of science based programs with the overall focus of bringing CQU scientists and science to schools in the local area. The aim is to raise the profile of science generally as well as highlight the opportunities available through CQUniversity. Science@CQU activities include Science lecturers, conferences and programs for teachers and extension programs for high achieving school students, CQUniversity scientists visiting local schools to provide guest lecturers and local school children visiting campus laboratories to meet CQUniversity scientists and experience aspects of science not normally available in school. 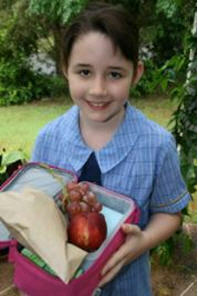 It also includes a number of school science competitions including CQ Robotics Competition and the Schools Science Quiz. 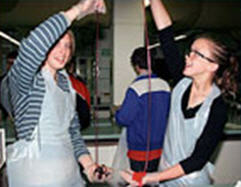 Science@CQU activities have created strong links with schools and teachers in the region. These activities bring students on to campus and provide opportunities for CQUniversity staff and students to interact with the community as well as increasing the visibility of CQUniversity in schools. It promotes science and CQUniversity as a viable option for school leavers. Dr Bob Newby's work in engaging with the community is exemplary of engagement. Dr Newby is highly commended for not only his enthusiastic participation and organisation of a range of outstanding engagement activities but for also actively encouraging and motivating his colleagues to take part in these worthwhile projects too. Science@CQU showcases our talented staff and the excellent opportunities CQUniversity can provide - building both credibility and reputation in the community as the engaged higher education provider of choice.